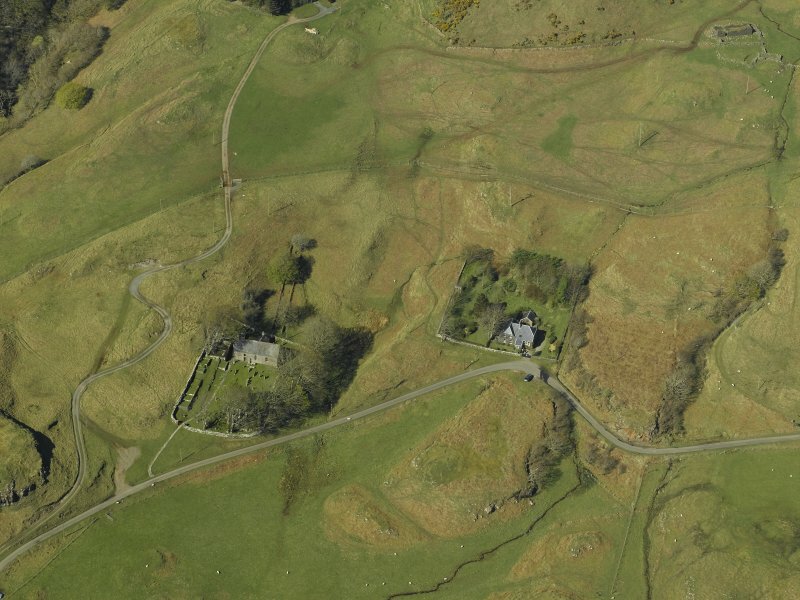 Oblique aerial view centred on the church and burial ground with the remains of the crofting township and field-system adjacent, taken from the S.
Mull, Kilninian Parish Church. Detail of effigy GE7. 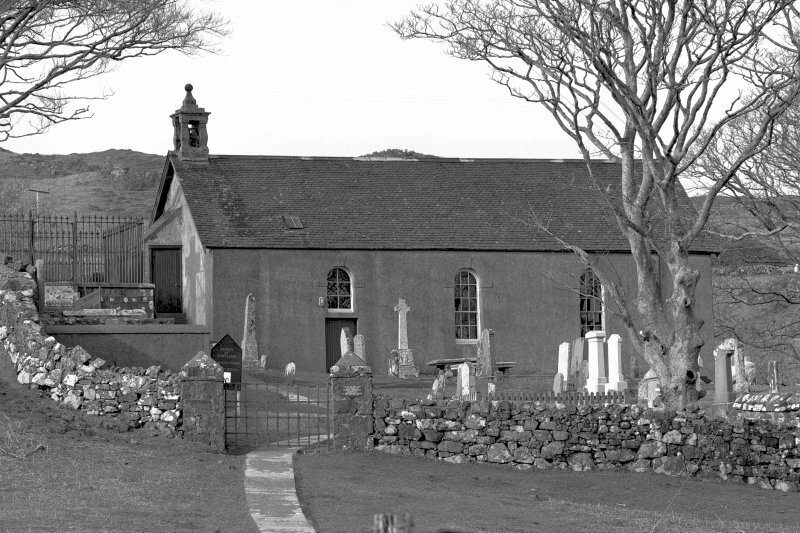 Mull, Kilninian Parish Church. General view from South-West. (NM 3974 4572) Parish Church, Kilninian: The existing church of this parish, which was united to that of Kilmore in 1628, dates from 1755 but probably occupies the site of a medieval church. This first appears on record in 1561, where it is stated that the parsonage of 'Keilnoening' had formerly pertained to the abbot of Iona. It is uncertain whether the dedication refers to St Ninian, of Galloway, or to a local saint of the Early Christian period (Watson 1926; Scott et al 1915-61). The church is an unpretentious structure of harled masonry, measuring 15.2m from E to W by 6.4m within 0.75m walls. Fourteen grave-slabs and other monuments, dating from the 14th century, which are in the associated burial-ground are described by the RCAHMS (1980). W J Watson 1926; H Scott et al 1915-61; RCAHMS 1980, visited 1974. Kilninian parish church is in normal use. No trace of the earlier building survives. Visited by OS (JP) 3 May 1972.